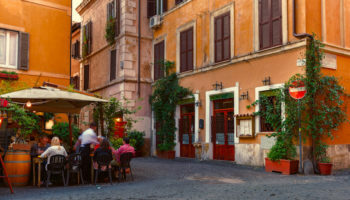 They don’t call Rome ‘The Eternal City’ for nothing – the Italian capital is one of the oldest continuously inhabited sites in Europe. It gave the world the Roman Empire and all the culture and infrastructure that came with it – roads, aqueducts, it’s all thanks to Rome! Then there was the Renaissance, making today’s Rome a global city known for its art and architecture. There’s a treasure trove of attractions on offer here. But there are also plenty of day trips to get involved with from this storied city. From seeing where Ancient Rome’s port city of Ostia once stood to the beautiful villas at Tivoli, you can even see Florence or the stunning island of Capri. Check out the following day trips from Rome. Anyone interested in military history might want to visit Anzio, an ancient coastal city 52 km (32 miles) from Rome. Battles were being fought here as early as the fifth century BC. In more recent times, Allied forces launched their campaign to conquer Italy with an amphibious landing in January 1944. Photos of the landing and battle can be found at the Beachead Museum. Travelers may wish to visit the cemeteries where British and American troops are buried. In-between battles, Anzio is a fishing port and ferry terminal to the Pontine Islands. The city is a good place to see old Roman villas or a Roman tower as well as WWII foxholes at Riserva Naturale di Tor Caldara. The aroma of seawater may lure visitors to the port where they can see the fishing fleet and eat the city‘s famous fish. Sun seekers can spend time on sandy beaches, including the popular Blue Bay. Lying just an hour away from Rome by train, getting to Anzio by public transport couldn’t be easier. From Roma Termini, you simply need to hop on a direct train and sit back and watch the world pass by your window. Trains usually run once an hour, although, at peak travel times, they run as frequently as every half hour. Tickets can cost as little as three euros, and once you arrive at Anzio, you’ll find yourself just a ten-minute walk to the center of town and its beautiful port. If you rent a car, driving to Anzio from Rome isn’t a bad idea; you’ll pass some delightful scenery, and this journey too takes just over an hour. From the centre of Rome, head directly south on the SS148, which will take you through a wonderful nature reserve. At Aprilla, turn off onto the SS207 – from there, you’ll reach Anzio in no time at all. Another option is to follow the Via Cristoforo Colombo until you reach the glittering Mediterranean. From there, take the SP601 all the way down the coast to Anzio, with magnificent sea views accompanying you on your journey. Gritty Naples is a city of superlatives. It is the third largest city in Italy. It was the most bombed Italian city in World War II. It has the largest historic city center in Europe, most appropriate since it is one of the longest continuously inhabited cities in the world, dating back 2800 years. With over 400 ancient churches, it is one of the most Catholic cities in the world. 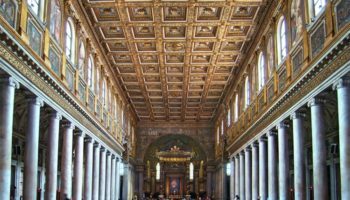 Naples Cathedral is the main church; each September it honors the city’s patron saint, Saint Januarius, with a miracle: The saint’s dried blood becomes liquid when near his relics. The city’s main square, the Piazza del Plescito, is home to Italy’s oldest opera house. Naples also is known for its many castles, including Castel Nuovo, a city landmark, and the 13th century Saint Elmo’s castle, built in the shape of a star. Naples has great museums such as Naples National Archaeological Museum with one of the biggest collections of Roman Empire artifacts. The most convenient and quickest way to travel between the two cities is undoubtedly by train; it can take as little as 75 minutes to get to Naples from Rome. This, however, is for the fast train and tickets can cost up to 60 euros. The slower trains are cheaper at around 20 euros a ticket, but these can take between two to three hours to arrive at Naples’ Centrale Station. 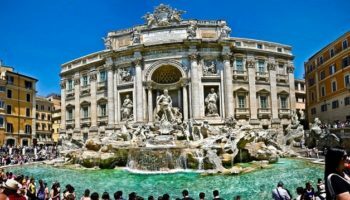 It is a very well-serviced route, and at any time of day, there will be at least a couple of trains departing from Roma Termini railway station. Once in Naples, you’ll find yourself just a short walk from all the main sights that you’ll want to check out. Unknowing travelers might think Castelli Romani referred to a single old Roman castle. They’d be wrong. Castelli Romani is a collection of 13 picturesque towns in the Alban Hills just a few miles south of Rome. 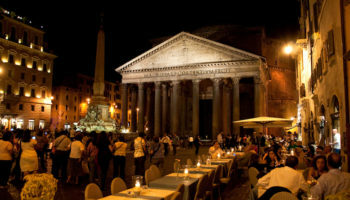 Ancient Romans went there to escape the hustle and bustle of the city; modern Romans still follow that tradition. One of the towns is Castel Gandolfo, one of Italy’s most historic towns and the most popular of the Castelli Romani towns. It also is the pope’s summer home; a former palace is now a museum. The region offers scenic caldera lakes and lush forests punctuated with vineyards. 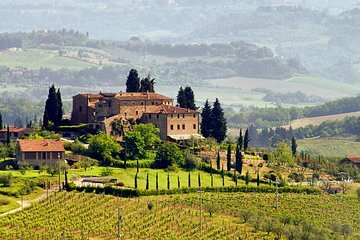 It is one of Italy’s top wine-growing regions. This is where Frascati, which can be white or red, comes from; for centuries it’s been a very popular wine among Romans. Don’t pass up a chance to drink Frascati where it’s made, the village of Frascati. Driving is the easiest way to visit the Castelli Romani, as they lie nestled amidst the Alban Hills and the only viable way to get from one to the other is by car. Castel Gandolfo, for instance, lies just 40 minutes away from the center of Rome. To get there, you merely need to stay on the SS7 heading southeast out of the city, which takes you directly there. From here, you can visit the beautiful vineyards and villages which lie around nearby Lake Nemi. Another option is to follow the SS215 out of Rome to the marvelous Frascati, which only takes half an hour. From there, you can head to any of the other nearby Castelli Romani. Famed for its wineries and vineyards, many visitors to Rome opt to take a guided tour of this region to learn more about the history and practice behind winemaking, as well as to sample some of the delicious wines. Accompanied by a professional guide, you’ll visit the impressive centuries-old Principe Pallavicini estate, which is located amidst some absolutely stunning scenery full of olive groves and beautiful vineyards. See trip reviews & prices. Located at the mouth of the River Tiber, Ostia was Rome’s seaport, but, due to silting and a drop in sea level, the site now lies 3 kilometers (2 miles) from the sea. It is famous for the ancient apartment buildings (insula) that are very well preserved. You can explore these buildings to one story in height, with narrow stairways and corridors leading to small rooms. There are also the remains of more wealthy houses, such as the House of Cupid and Pysche, with very rich marble decorations. From the center of Rome, Ostia Antica makes for a very convenient day-trip; you can easily get there by public transport in less than an hour. At Roma Termini, you take a short metro journey to Piramide, where you then take a train in the direction of Cristoforo Colombo. Once you arrive in Ostia Antica, you’ll see signs pointing you to the magnificent ruins – it’s only a short walk to the entrance. Another option that is well worth checking out is to take a guided tour of the impressive site. With an expert guide on hand, you’ll come away having learned loads about Ostia Antica’s fabulous ruins. The walk takes you around all the main sights, such as the Forum, Amphitheater and Baths of Neptune. See trip reviews & prices. Visitors will have to make some tough choices since only one day in this city isn’t long enough to see everything. A must-see is the Duomo, Florence’s cathedral that is about a half-hour walk from Santa Maria Novella train station. Comfortable walking shoes are a must since cobblestone streets are narrow and uneven. The world-class Uffizi art gallery showcases the best Italian Renaissance artists Travelers can ogle the over-the-top wealth of the Medici family at the Pitti Palace or just wander the streets in the historic center seeking statuary, such as the replica of Michelangelo’s David (the original is at the Accademia museum). End the day nibbling a gelato cone and walking across the Ponte Vecchio over the Arno River. Although it may look quite far on the map, it can take a surprisingly short time to get to Florence by train from Rome. 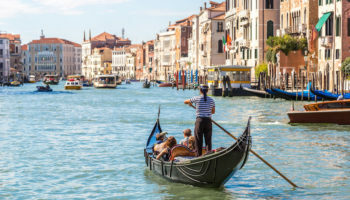 In fact, the journey is actually amongst the most popular in the whole of Italy, as both commuters and travelers make their way between the two every day. Consequently, it is a very well-serviced line; there are three or four trains per hour, so you’ll never find yourself waiting long. From Roma Termini, it can take as little as 90 minutes on the fast train, although these tickets are obviously more expensive than if you take the slow train. Once you arrive at Florence’s Santa Maria Novella station, it is only a short walk to the gorgeous historic center. To make the most of your time in Florence, it’s not a bad idea to take a guided tour, as this will take you around many of the main sights in the city with minimum hassle. With stops at il Duomo, the Accademia Gallery, and Piazza Santa Croce included on the tour, you’ll certainly see as much of Florence as is possible in one day. See trip reviews & prices. A trip from Rome to the lovely hill region of Umbria will bring you to the medieval town of Assisi where you can explore significant religious sites, Roman ruins and artistic beauty. The town’s main attraction is the Basilica of St. Francis, the eternal resting place of Italy’s patron saint. Most of the cobblestone streets in town lead to this beautiful cathedral where you can admire its exquisite architecture and interior ceilings and walls that are embellished with stunning frescoes. Surrounding the basilica, you will discover medieval houses and shops that are well worth a look. Other sites not to miss include Piazza del Comune, the town center, with its old clock tower, the Church of Santa Maria Sopra Minerva with its Roman columns, and St. Claire’s Basilica, which offers scenic views of the valley below. With regular trains running between Rome and Assisi, the medieval town can take less than two hours to reach. On the way, you’ll pass through some stunning scenery; there’s a reason it is known as Italy’s ‘green heart.’ While some trains take you directly to Assisi, most train journeys involve a transfer at Foligno. As it is a small station, however, it is a very stress-free and easy connection. Check the train timetable carefully before heading to Assisi, as the slower trains can take up to three hours to get there. While driving to Assisi takes roughly between two and three hours and is a lot more effort than taking the train, this does mean that you can stop off at any of the beautiful scenes that you come across. Heading northwards from Rome, take the E35 and E45 until you reach Orte, where you will turn off and head towards Terni before continuing along the SS3. Once past Foligno, simply follow the signs to Assisi. While in the Umbria region, you might also want to visit the charming town of Orvieto situated majestically on a big chunk of volcanic rock called tuff. Its impressive cathedral, the Duomo, which is considered one of Italy’s finest with its stunning mosaics and frescoes, influenced Michelangelo’s Sistine Chapel. It would certainly be well worth the time to explore the city’s labyrinth of underground tunnels. Carved 3,000 years ago from volcanic rock by the Etruscans to provide escape routes for the nobility, these elaborate tunnels contain grandiose rooms, stairs, cisterns and quarries. The city’s oldest church, San Giovenale, is also worth a visit as well as both the 14th century Albornoz Fortress and St. Patrick’s Well, which was uniquely designed to supply water for the city during war times. From Roma Termini, it usually takes about 75 minutes to reach Orvieto by train. Along the way, you pass through some lovely scenery, which makes the journey flash by. Trains aren’t super regular, however, so if you miss one, you may find yourself waiting an hour until the next one. Tickets are very cheap and can go for as little as eight euros. Another option is to take the car to Orvieto; it takes a similar amount of time as by train, although you do then have the luxury of stopping off at nearby Lago di Bolsena for a lakeside lunch. From Rome, you need to head north on the E35 and follow it for around an hour until you see signs to Orvieto. A popular option amongst visitors to Rome who are pressed for time is to take a guided tour to both Orvieto and Assisi, combining the two beautiful towns into one memorable day trip. This enables you to see a number of amazing sights – such as Orvieto Cathedral and the Convent of Santa Chiara – without having to spend two days away from all of Rome’s incredible attractions. See trip reviews & prices. All it takes is a one-hour trip from Rome to the small town of Tivoli to experience two of the most spectacular sites in the Lazio region, Hadrian’s Villa and Villa d’Este. Most tourists like to combine both of these villas into one instead of two day trips from Rome. 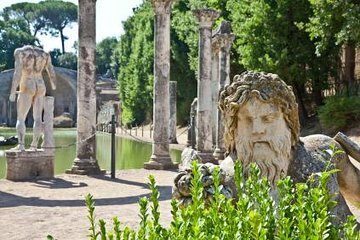 A history lover’s paradise, Hadrian’s Villa features an impressive, sprawling complex of 30 ancient Roman structures that were built during the second century by the Emperor Hadrian as a retreat from the busy capital of Rome. 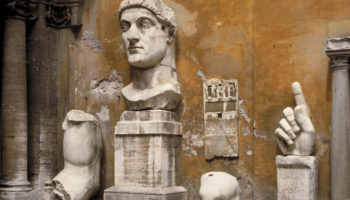 Here, visitors can enjoy a glimpse into the lavishness of ancient Rome when you walk among the 250 acres of marble pavements, palaces, theaters, libraries, baths, temples and private quarters that once housed royal guardsman, attendants and slaves. 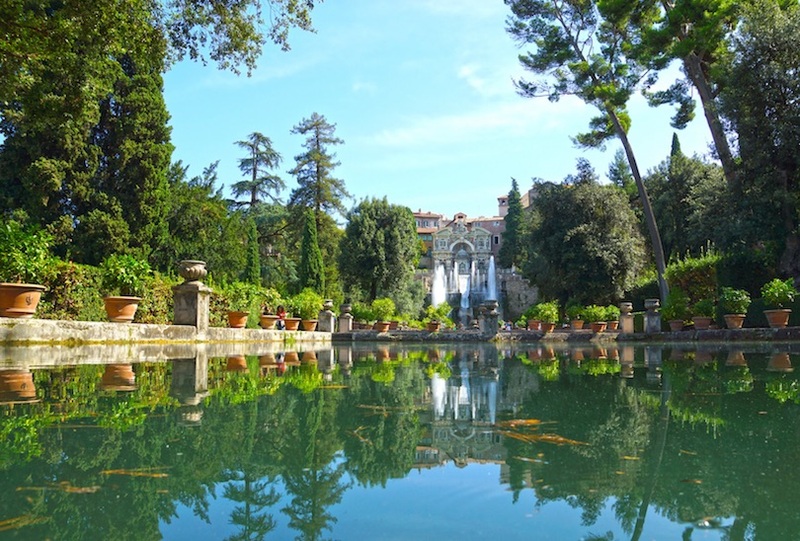 If you enjoy formal gardens, Villa d’Este is a must-do. Located on the opposite side of town from Hadrian’s Villa, this splendid estate features a lovely mansion, but it is the gardens that most visitors come to see. What makes these historic gardens so special is the Renaissance method of integrating unique water works and artistic features into the beautiful landscape. Stroll along winding and maze-like paths that offer a pleasant surprise at every turn like musical fountains, gorgeous statues, frescoed rooms and breathtaking waterfalls. If you can tear yourself away from the gardens, you will also find cozy little restaurants and boutiques along the narrow streets of this charming villa. By train, it can take as little as half an hour to reach Tivoli from Rome, although many options will take around an hour to an hour and a half. The journey, however, is very cheap and a ticket can cost you less than three euros one way. While Villa Gregoriana is located just a short walk away from Tivoli train station, you’ll need to take a bus if you want to visit the other two villas, which are well-signposted. This does make it tricky to visit more than two out of the three on a day trip to Tivoli. Indeed, many people decide to take a tour to both Hadrian’s Villa and Villa d’Este, which enables them to explore the ruins without having to worry about figuring out bus times. The guide’s commentary will tell you all about the amazing villas and their rich history. See trip reviews & prices. A day trip from Rome to the beautiful island of Capri requires a full day, but it is well worth it. Capri offers several fantastic attractions, but the one not to miss is the Blue Grotto, a cave that reveals a brilliant reflection of blue and emerald-colored water. The cave can be accessed by a short boat ride from Marina Grande. Other attractions include Mount Solaro, Capri’s highest point. A chair lift takes visitors to the top of the mountain which offers stunning views of the island and sea. The lovely Villa San Michele in the town of Anacapri is also worth a visit with its stunning gardens, Phoenician steps, cafe and museum. People wanting to visit Capri from Rome first need to head to Naples, where they can take a ferry to the idyllic island. From Roma Termini, it can take as little as an hour and fifteen minutes to reach Naples if you take the fast train. Slower trains, while cheaper, can take up to three hours, but this will severely limit how much time you have in Capri. Once in Naples, take a metro or taxi to Piazza Municipio. Ferries regularly leave from nearby Molo Beverello, and the high-speed ones take 40 minutes to reach Capri. If all that sounds a bit complicated, you may want to look into taking an organized trip to Capri; this is a hassle-free way to see incredible sights such as the Blue Grotto and sweeping views of the Bay of Naples. From Rome, the tour takes you on a scenic bus journey to Naples before you take to the waters and head off to explore what Capri has to offer. See trip reviews & prices. Stunning scenery is what the Amalfi Coast is all about: picturesque towns built on hills and cliffs that drop off into the sea below. Some towns are built right up to the water, with craggy mountains as the backdrop. No wonder the Amalfi Coast is one of Italy’s most popular tourist destinations. The region is popular with celebrities, especially Positano with its glitzy boutiques. Perhaps they fell in love with the region while filming movies and TV shows here; that’s very easy to do here. It’s also easy to fall in love with limoncello, a liqueur made from Amalfi lemons. The Amalfi Coast is dotted with quaint villages, each with at least one old church worth visiting and some with palatial Roman villas. 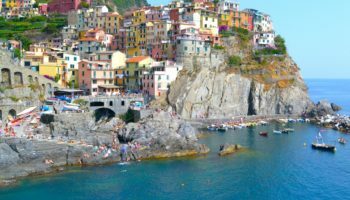 Located between the gulfs of Naples and Salerno, there’s only one very scenic road through the region, but the towns are easily accessible by ferry. 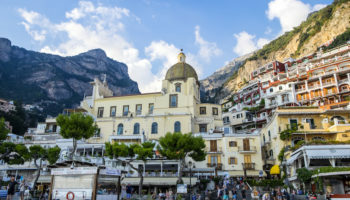 For visitors looking to explore the glorious Amalfi Coast while in Rome, Positano is a great place to head to that is well-serviced by bus from Naples. 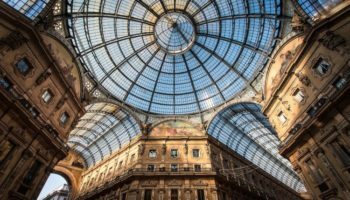 After taking a train from Roma Termini to Naples Centrale Station, which can take anywhere between an hour and fifteen minutes to three hours, it is just a short walk to Naples Garribaldi, from where the bus departs. It takes around an hour to get to Meta, where you then change and take a half hour bus ride to Positano. While this may sound like a long journey, the views from the bus over the Bay of Naples and Vesuvius mean that it passes by very quickly. To make the most of your visit to the Amalfi Coast, a tour may be the best option. It combines a visit to Pompeii with a stop at Positano, and you even have the chance to go for a swim in the enticing waters of the Mediterranean. See trip reviews & prices. No visit to Rome would be complete without a day trip to Pompeii. You can walk among the streets of this ruined metropolis to learn about its history and see what remains of 2,000 year old shops, restaurants, residential homes, baths and brothels as well as political, religious and commercial centers. There are also plastered body casts of actual people who died in the catastrophic volcanic eruption of 79 AD. The National Archeological Museum of Pompeii contains a fascinating collection of artifacts and art works that were excavated from the Pompeii site. By high-speed train, it takes just over an hour to get to Naples from Rome. From there, it is relatively easy to get to Pompeii using public transport. At Naples Centrale station, take the Circumvesuviana train towards Sorrento. The train journey to Pompeii Scavi station only takes half an hour, and you’ll see the entrance to the ruins as soon as you exit. 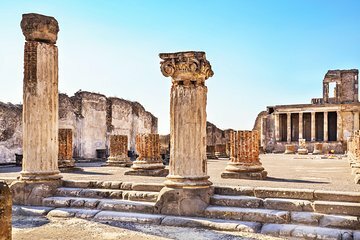 For visitors really looking to gain a greater understanding of Pompeii’s fascinating history, a tour to the ruins and Mount Vesuvius accompanied by an expert guide is well worth looking into. See trip reviews & prices. Most of these destinations are too far for a reasonable day trip. Who wants to spend 5 hours getting to/from Assisi? For a round-trip this sounds pretty acceptable imho. However, if you find this too long for just one place it is also possible to take an organized trip and combine it with Orvieto. The trips you suggested from Rome sound very interesting. As we will not have a car, are they accessible by public transportation (train/bus)? The tour is run by an American woman who lives in Frascati and is part of one of the wine making families on the tour. Buon Viaggio!